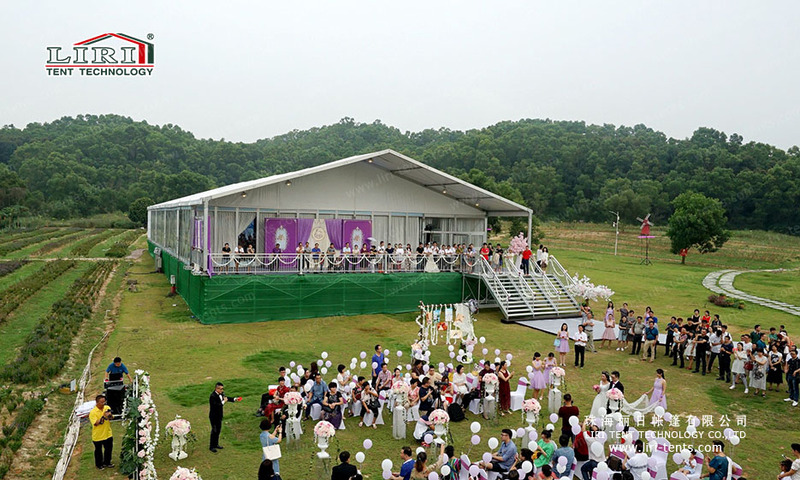 Recently, more and more young couple choose the diverse outdoor wedding to show their loving, perhaps is romantic wedding near the beach, perhaps leisure wedding on the grassland, or perhaps simple wedding in the courtyard? 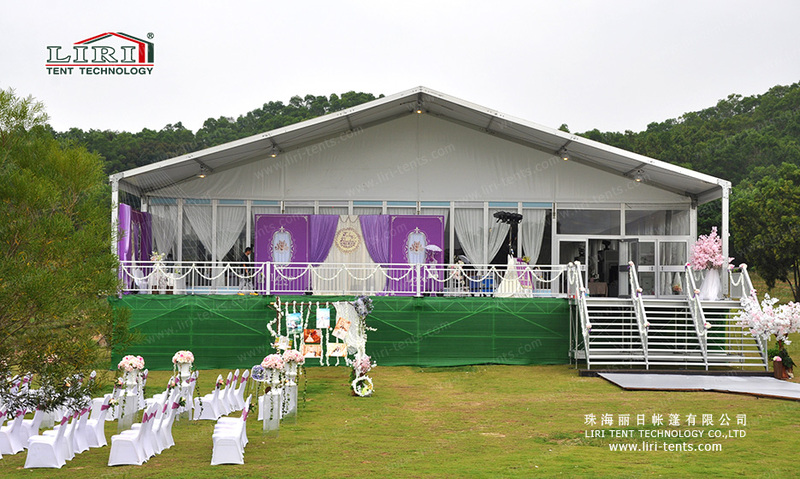 No matter how the mode of the outdoor wedding is, the flexible Wedding Marquee for Sale can adapt it. Unpredictable weather will be a tricky problem for outdoor weddings because bad weather can damage the wedding atmosphere and cause irritability. 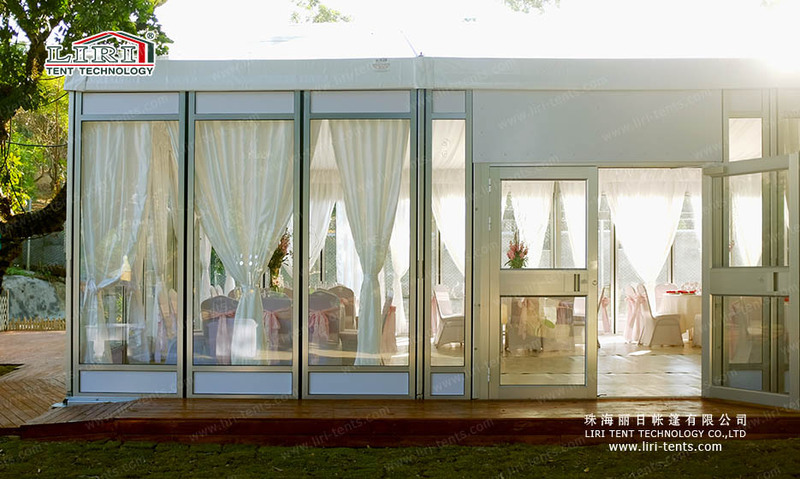 But the tent provided from LIRI has the features of wind resistance, waterproof and anti-mildew so that outdoor weddings can be conducted smoothly and happily without being affected by the weather. 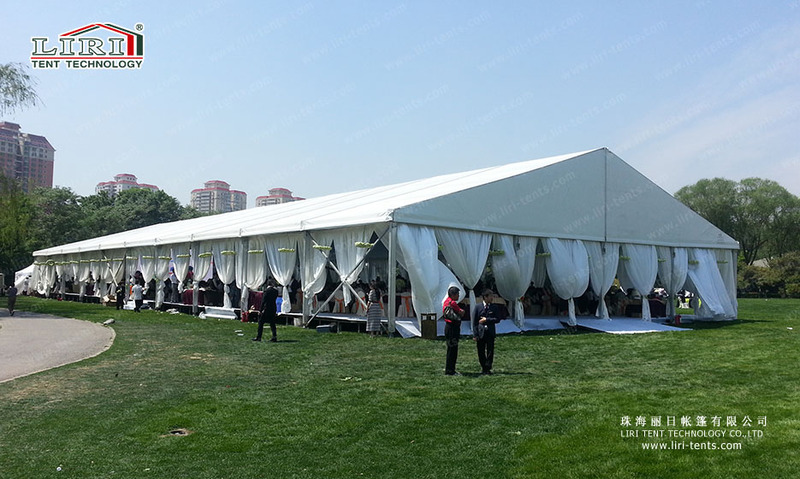 In addition, to make the outdoor wedding more special and impressive, we can offer many kinds of Wedding Marquee for Sales, such as regular A shape tent, elegant mixed-high peak tent, beautiful multi-sides tent and special geodesic dome tent. 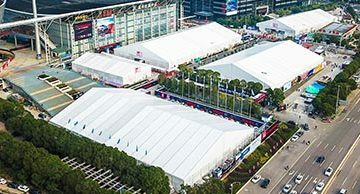 Liri outdoor wedding tents are subject to strict quality control, with the characteristics of high safety, small size, easy transportation, easy assembly and disassembly, and convenient storage. 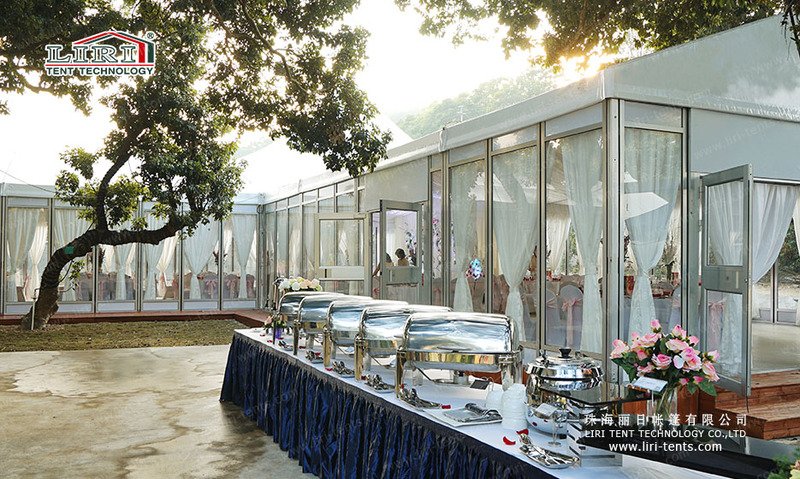 No matter outdoor or indoor wedding, the most important thing is too prominent the theme, makes it luxurious, concise, romantic, stylish or personalized. 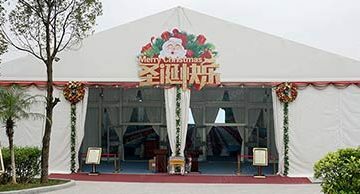 Liri outdoor Wedding Marquee for Sale is decorated with a variety of accessories, such as stage, lighting system, audio equipment, lining with curtain, ribbon balloons, PVC fabric printing, glass walls, etc., to show different wedding themes and create a different wedding atmosphere. There are 100 kinds of love for 100 new couples. 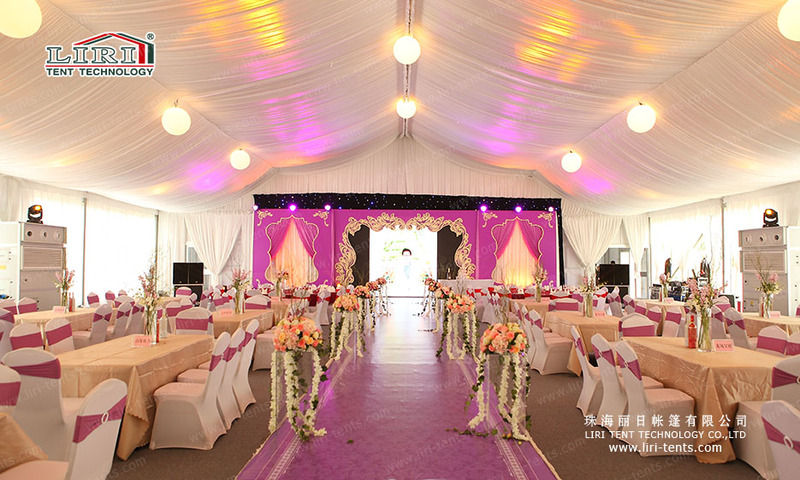 Each type of love can be paired with different theme Wedding Marquee for Sale. 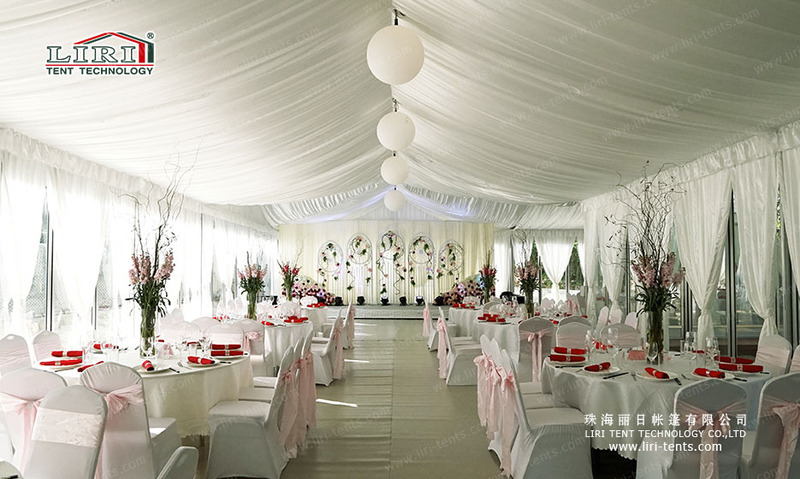 The protagonist of the wedding is you, and the wedding tent is handed over to us. 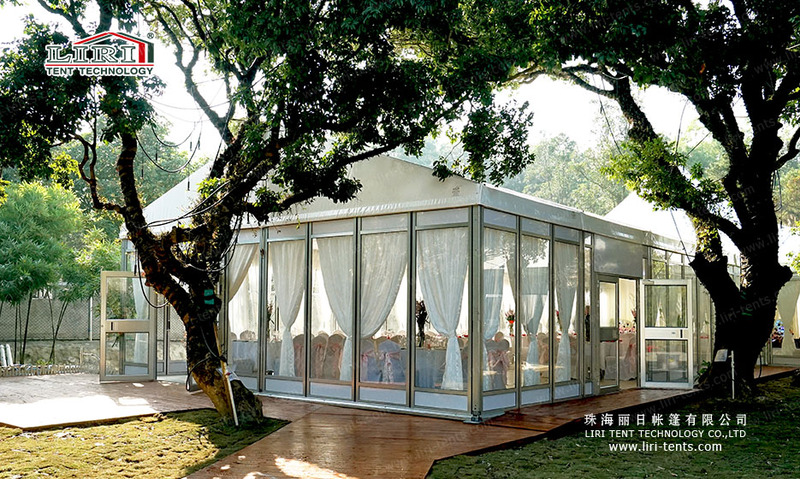 Liri outdoor wedding tent makes your future happier.